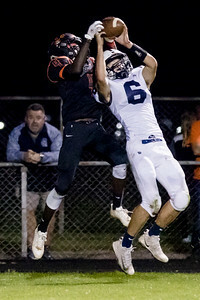 Sarah Nader - snader@shawmedia.com Cary-Grove's Benjamin Ferrell (right) intercepts a touchdown pass to Crystal Lake Central's Daniel Manning during the second quarter of Friday's game in Crystal Lake Oct. 20, 2017. Cary-Grove won, 36-35. Sarah Nader - snader@shawmedia.com Cary-Grove's Jack Trauger (left), Benjamin Ferrell and James Johnson celebrate an interception during the second quarter of Friday's game in Crystal Lake Oct. 20, 2017. Cary-Grove won, 36-35. Sarah Nader - snader@shawmedia.com Cary-Grove's Benjamin Ferrell (left) holds off Crystal Lake Central's Jacob White while running the ball during the second quarter of Friday's game in Crystal Lake Oct. 20, 2017. Cary-Grove won, 36-35. 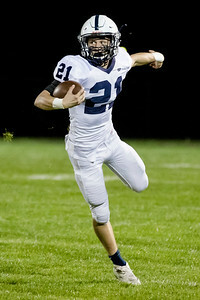 Sarah Nader - snader@shawmedia.com Cary-Grove's Max Buss scores a touchdown during the first quarter of Friday's game against Crystal Lake Central in Crystal Lake Oct. 20, 2017. Cary-Grove won, 36-35. 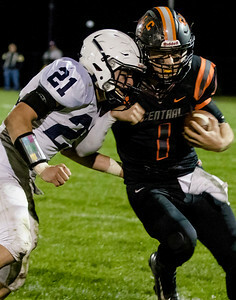 Sarah Nader - snader@shawmedia.com Crystal Lake Central's Jacob Staples pushes off Cary-Grove's Danny Daigle during the second quarter of Friday's game in Crystal Lake Oct. 20, 2017. Cary-Grove won, 36-35. 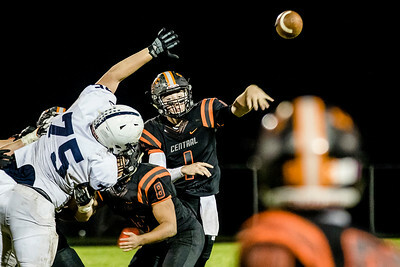 Sarah Nader - snader@shawmedia.com Crystal Lake Central's Jacob Staples throws a pass during the second quarter of Friday's game against Cary-Grove in Crystal Lake Oct. 20, 2017. Cary-Grove won, 36-35. Sarah Nader - snader@shawmedia.com Crystal Lake Central's Braden Bisram dives for a touchdown during the second quarter of Friday's game against Cary-Grove in Crystal Lake Oct. 20, 2017. Cary-Grove won, 36-35. 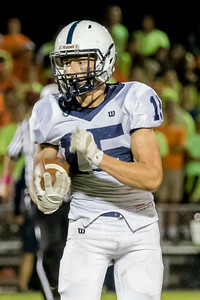 Sarah Nader - snader@shawmedia.com Cary-Grove's Max Skol runs a play during the third quarter of Friday's game against Crystal Lake Central in Crystal Lake Oct. 20, 2017. Cary-Grove won, 36-35. 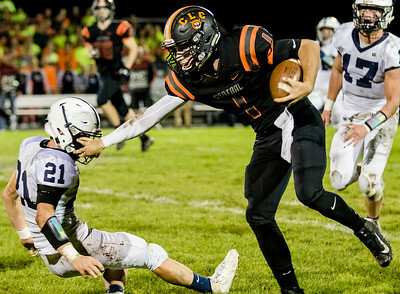 Sarah Nader - snader@shawmedia.com Cary-Grove's Danny Daigle (left) pushes Crystal Lake Central's Jacob Staples out of bounds during the third quarter of Friday's game in Crystal Lake Oct. 20, 2017. Cary-Grove won, 36-35. 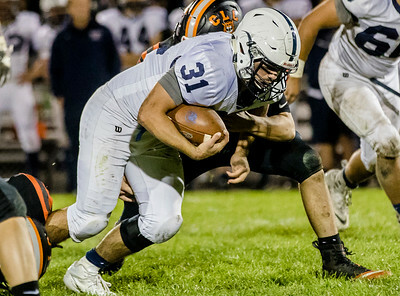 Sarah Nader - snader@shawmedia.com Cary-Grove's Zach Perrone runs the ball during the first quarter of Friday's game against Crystal Lake Central in Crystal Lake Oct. 20, 2017. Cary-Grove won, 36-35. 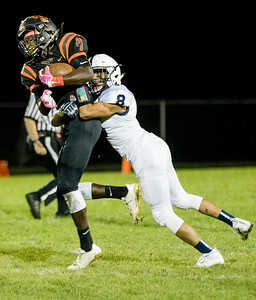 Sarah Nader - snader@shawmedia.com Crystal Lake Central's Daniel Manning (left) is tackled by Cary-Grove's Daniel Battaglia after catching a pass during the first quarter of Friday's game in Crystal Lake Oct. 20, 2017. Cary-Grove won, 36-35. 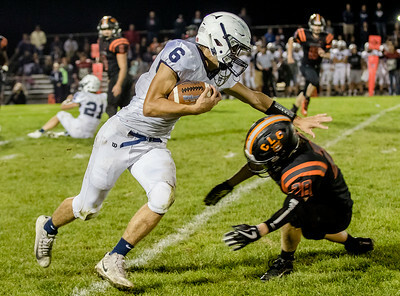 Sarah Nader - snader@shawmedia.com Cary-Grove's Danny Daigle runs the ball during the first quarter of Friday's game against Crystal Lake Central in Crystal Lake Oct. 20, 2017. Cary-Grove won, 36-35. 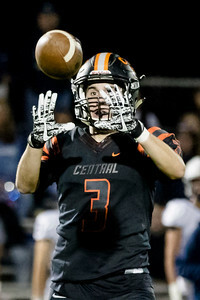 Sarah Nader - snader@shawmedia.com Crystal Lake Central's Jared Rohrbacher catches a pass during the first quarter of Friday's game against Cary-Grove in Crystal Lake Oct. 20, 2017. Cary-Grove won, 36-35. Cary-Grove's Benjamin Ferrell (right) intercepts a touchdown pass to Crystal Lake Central's Daniel Manning during the second quarter of Friday's game in Crystal Lake Oct. 20, 2017. 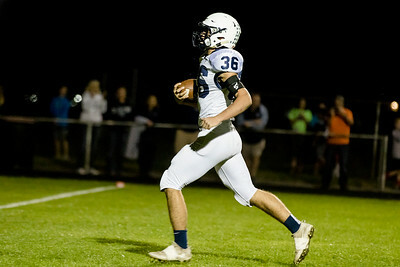 Cary-Grove won, 36-35.